I was lucky enough to win a bottle of Caudalie's Beauty Elixir in one of Latasha's giveaways last year over on her blog Today I Adore. I know this is a bit of a cult beauty favourite, so I was really looking forward to giving this a try, but I'm afraid my review is not going to be a good one! This is supposed to boost radiance, minimise pore size and be good for setting makeup, which all sounds really good, but I just can't get on with using it. To begin with I really don't like the smell of this, it smells really strange and I actually find it quite unpleasant. I'm also really not very good with the whole spraying it on your face thing. I've never used a product that you spray on your face before and I've found that every single time I use this it makes me jump, even though I'm obviously expecting it. I usually sit there for at least a good couple of seconds mentally preparing myself before finally plucking up the courage to spray. Also the last time I gave this a try, even though I obviously had my eyes closed as I'm not going to spray something onto my face with my eyes open, I had this strange kind of 'fresh' feeling in my eyes that wasn't really that pleasant. I've only tried this two or three times, so I can't really comment on any effect this may have had on my skin, but I didn't notice any instant effects as soon as I used it (apart from fresh eyeballs!). This is certainly not cheap at around £11.50 for 30ml and £32 for 100ml so I certainly won't be buying this again and I'm not sure I will even use the one I have. I'm sorry Caudalie, I love your Makeup Remover Cleansing Water, but the Beauty Elixir is just not for me. 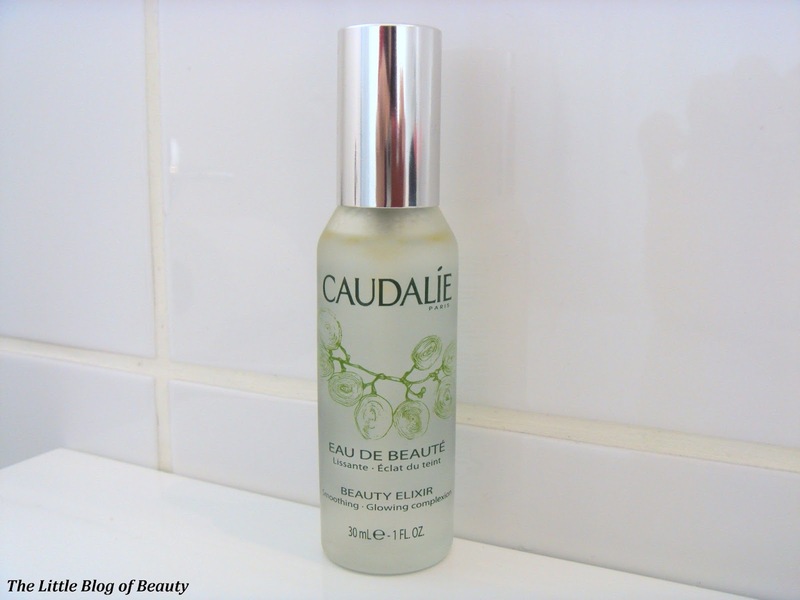 Have you tried Caudalie's Beauty Elixir and what did you think of it?